This weekend has officially been my concert-going marathon weekend. Four concerts. Five days. 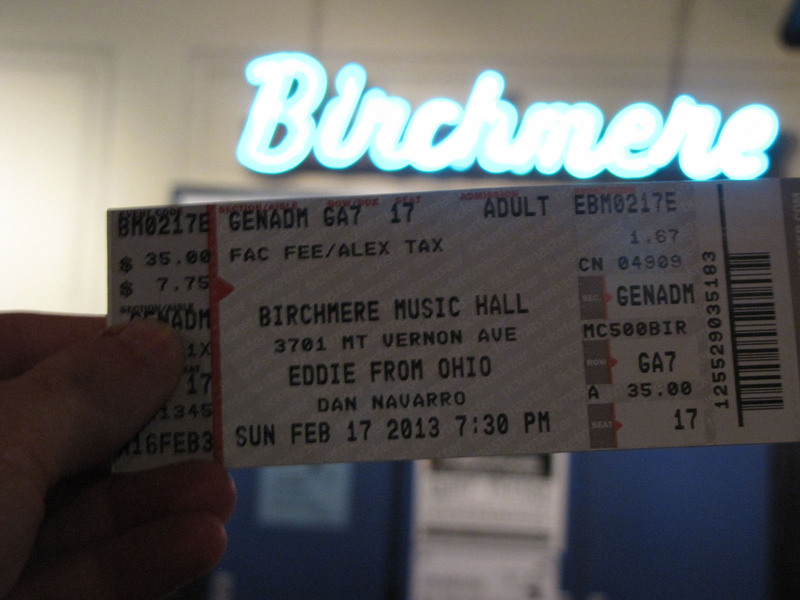 Last night was another Eddie from Ohio concert at the Birchmere. And yesterday’s photo subject was “in your hand”. It just felt right to take a picture of my concert ticket for this photo. Another great show!